An eternal supporter and important role model, your Aunt will provide you with a lifetime of happy memories. 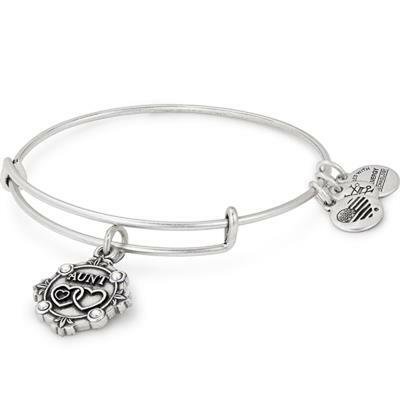 Alex and Ani's Expandable Wire Bangle and is available in Rafaelian Gold or Silver finish. Packaging: This Alex and Ani bangle comes packaged in an Alex and Ani box with its meaning card and care card.